Andrew Kuo, “Reasons to Move to LA”. 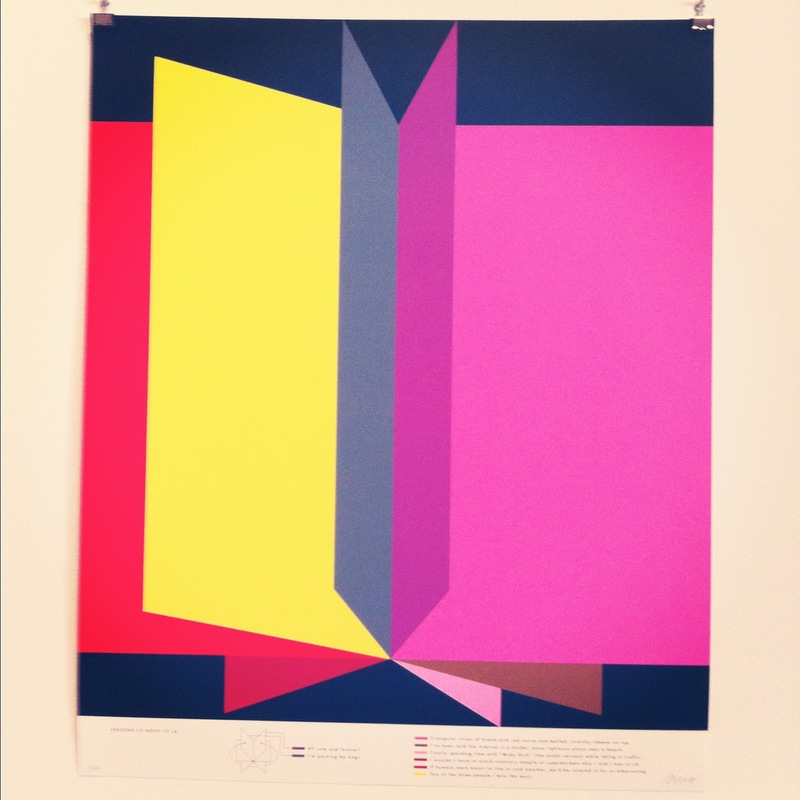 Proceeds from the sale of this print go toward making the Art Book Fair free for all. Who reads books anymore? Well evidently over 2,500 people do-specifically Art Books. That’s the number of art book lovers that showed up to the Geffen Contemporary for opening night of the L.A. Art Book Fair. 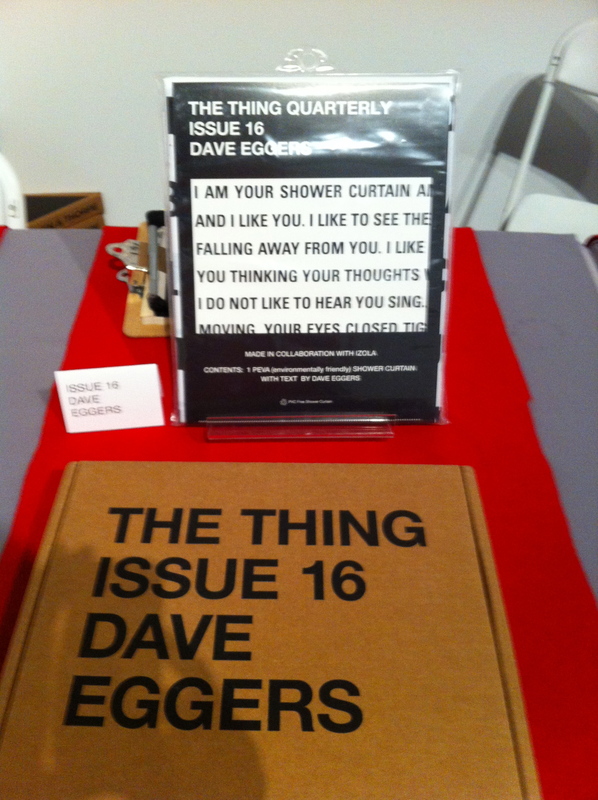 I checked it out Friday and was amazed by the sheer number of vendors who participated in the inaugural event held by Printed Matter. NYC has hosted similar events for Art Book collectors for over 7 years, so I was happy to see so much enthusiasm swirling about in the days leading up to this one. The vendors were very positive and encouraged by the strong turnout Thursday night, and Friday afternoon saw a steady stream of art bibliophiles. I loved this event. It wasn’t about “who’s who” or “who knows who”, or what art gimmick can we all either rally behind or rail against, it was a celebration of books in all forms. 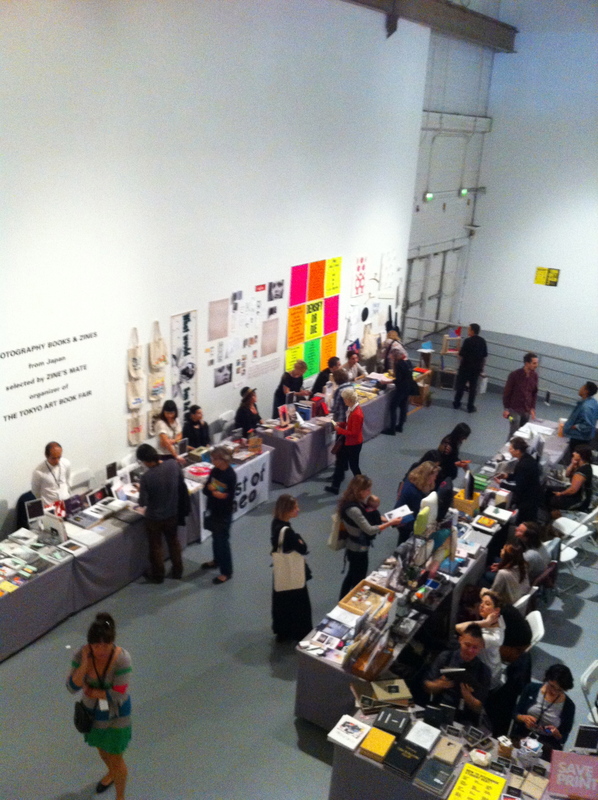 The “Zine World” alone kinda blew my mind. I know absolutely zero about the “zinester” scene, but it was great hearing from self publishers and artists that truly embrace an independent spirit. Angelenos have 2 more days to check this free event out and there should be a food truck or two to give you sustenance as you traverse the galleries jam packed with books, posters, and other materials that will stimulate your cultural and intellectual palate.